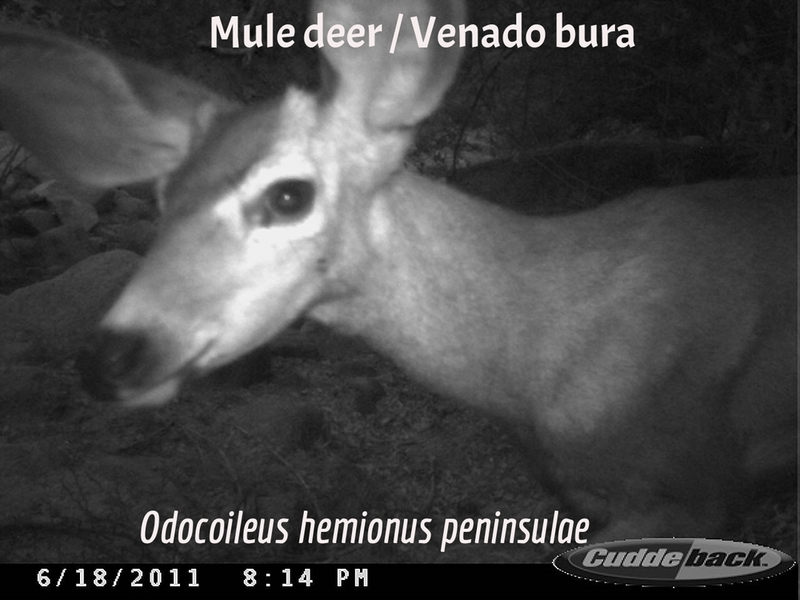 The mammalogy team has documented 30 species of mammals in the Sierra Cacachilas. While this includes some large mammals like mule deer, bobcats, and coyotes, most of the 16 flightless mammals are small rodents. Fourteen of the species are bats. 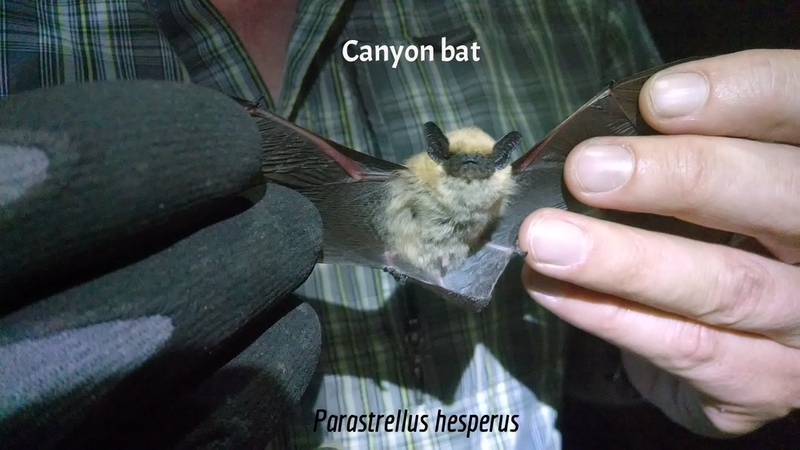 The team also discovered that several of the abandoned mine tunnels on the ranches are home to some of the East Cape's largest overwintering and maternity roosts of the formerly endangered lesser long-nosed bat, Leptonycteris yerbabuenae. 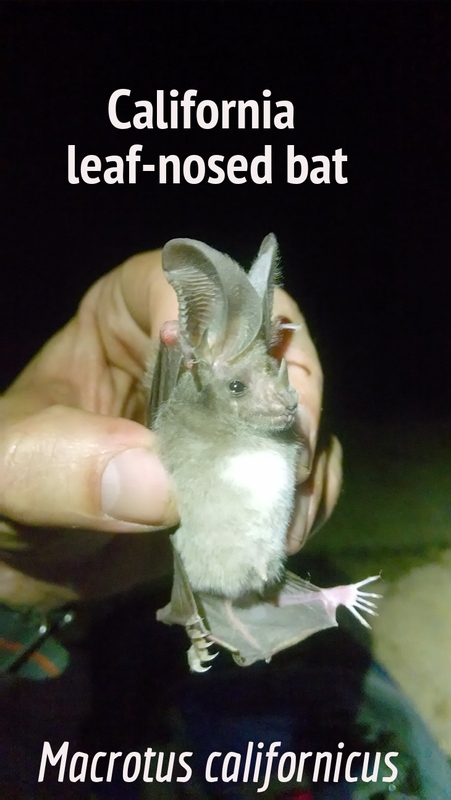 Follow this link to read about the recent conservation success story of how the lesser long-nosed bat is now delisted from endangered status. (In Mexico since 2014, and in the USA since April 2018.) 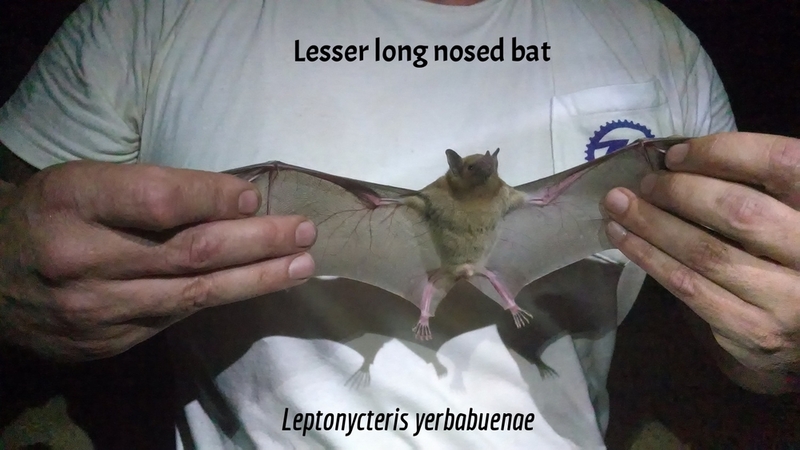 Use the button below to download the paper on the seasonal ecology of lesser long-nosed bats that was published in the Journal of Mammalogy in July 2018. We are very grateful to Dr. Winifred F. Frick and her team for these important findings. In April 2013, four scientists from institutions in the U.S.A. and Mexico initiated a study on demography and seasonal movements of the L. yerbabuenae. Detection equipment was installed in early 2015 at the entrance of an abandoned mine tunnel on the Rancho Cacachilas property as part of this ongoing long-term study. To download the PDF, please click on image at left, or use the button below. A few of the mammals found on our ranches are displayed below. Some of these photographs were taken with motion-activated cameras installed near fresh water springs throughout the properties.